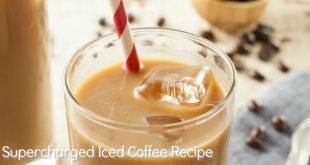 I am excited to share today’s recipe with you. Now you should know that I always get really excited to share a new recipe with you. Like really, legit, “kid at Christmastime” excited. True story. But today I am extra excited! Want to know why? 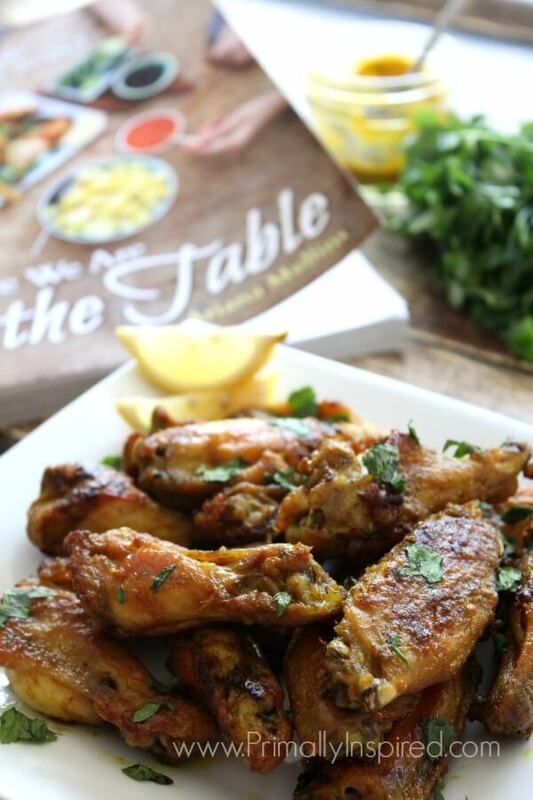 Because the flavorful, smoky turmeric marinade that coats these delicious chicken wings is a recipe from my friend Ariana’s new cookbook, And Here We Are At The Table. 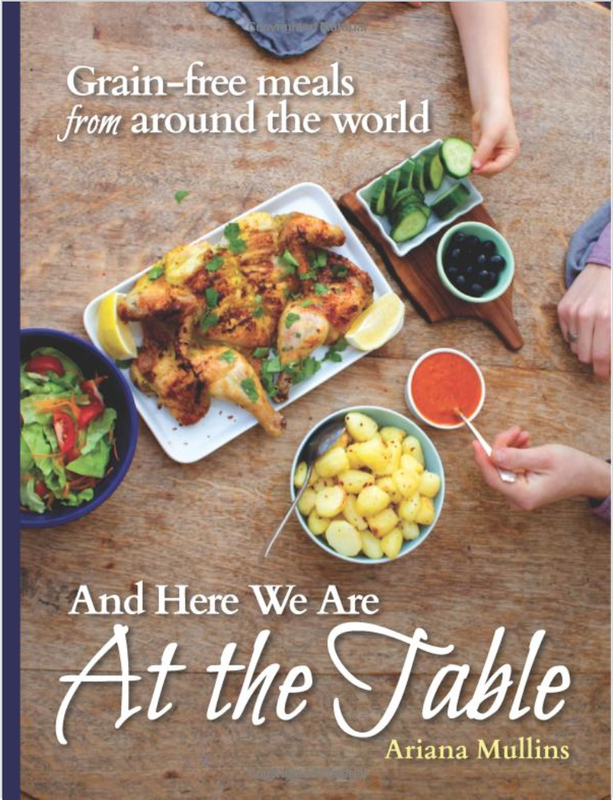 And I can’t wait to tell you about this cookbook because it totally captivated and inspired me. I also read it cover to cover over my Christmas vacation. And I’ve never done that with a cookbook before. I mean, who reads a cookbook from cover to cover? But I couldn’t put it down! You see, this cookbook is really something special – it’s not like a regular, ordinary cookbook. 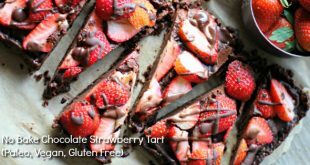 Yes, it’s filled with over 80 grain-free, flavorful, uncomplicated (p.s. yay for uncomplicated) recipes, but sprinkled all throughout the cookbook are so many entertaining and inspirational stories from Ariana’s travels all around the world. I love the kind of books that totally sweep you away to new places, cultures and adventures – you know, the ones that make you feel like you are right there. This cookbook did that for me! 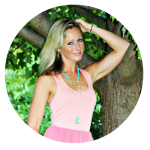 After I got done reading it, I was so inspired to try new flavors, connect with more people at the table and get back to savoring all the joys that come along with cooking and preparing real food made from scratch. The smoky turmeric marinade recipe that I’m sharing today from And Here We Are At The Table is a little taste of the vibrant flavors you will find all throughout the cookbook. Ariana uses this delicious marinade when she step-by-step shows us how she simply and easily spatchcock roasts a chicken (pg. 74 in the book). I can’t wait to try that – it looks like such a fun (& quick) way to cook a whole chicken! I didn’t have any whole chickens in my freezer to try her Spatchcock Roasted Chicken this time (bummer! ), but I did have an abundance of chicken wings from my local CSA (Lancaster Farm Fresh). 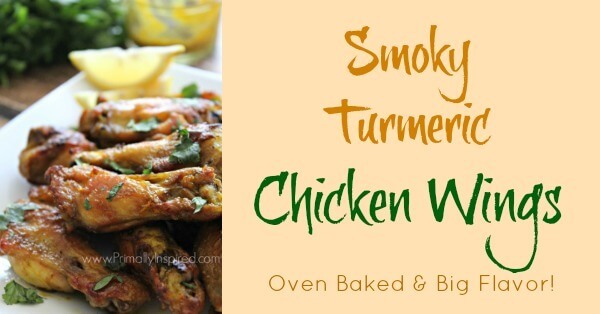 I decided smoky turmeric wings sounded delicious so I gave it a go. And I’m so glad I did! The skin is crispy, garlicky, salty and smoky with just the right amount of tang. We inhaled these wings and especially enjoyed the unique flavor profile. 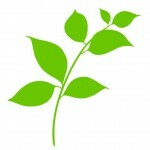 I think you will love these, too! 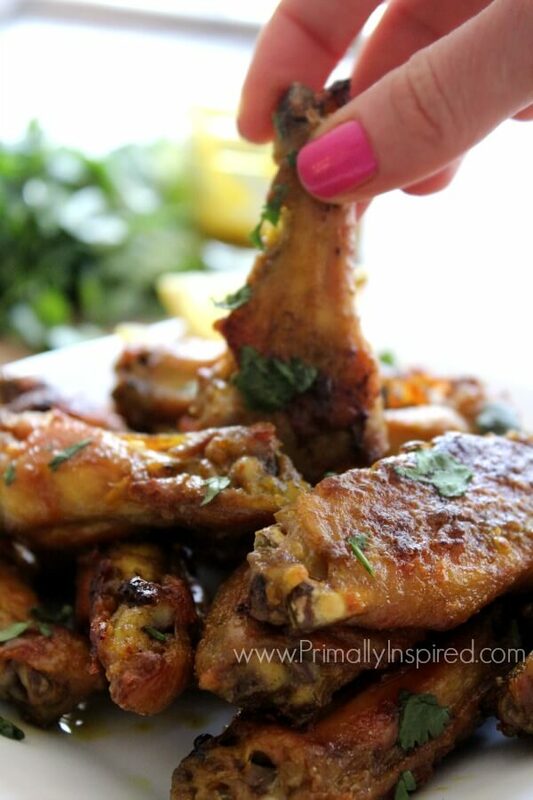 Delicious oven baked smoky turmeric chicken wings are crispy, garlicky and salty with just the right little tang! 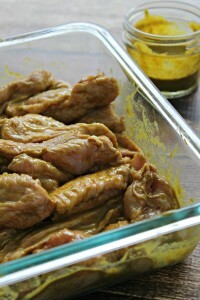 Smoky Turmeric Marinade from And Here We Are At The Table Cookbook. Put all ingredients into a small food processor and blend until everything is chopped fine and blended. 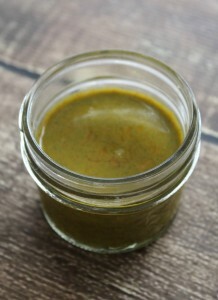 It will thicker than a dressing and a good consistency to rub onto the chicken with your hands. Make the marinade. Pour the marinade over the chicken, reserving just a little extra marinade for later. Turn the wings over so that both sides get covered. Marinate in the refrigerator for at least an hour (overnight is best). Place the wings skin side down on a raised edge baking pan making sure they do not touch. 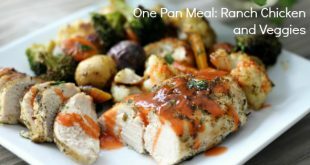 You'll probably need 2 pans. Bake for 30 minutes. Flip. Once all the wings are skin side up, apply the reserved marinade. Bake for 10-15 more minutes or until crispy and done. Garnish with extra chopped cilantro. Enjoy! The smoky turmeric marinade would be a fantastic marinade for whole chickens, drumsticks, thighs, etc! If you are using bacon fat and it's already a bit salty, you may find that you need to decrease the amount of salt in the marinade by just a bit. Yum!! 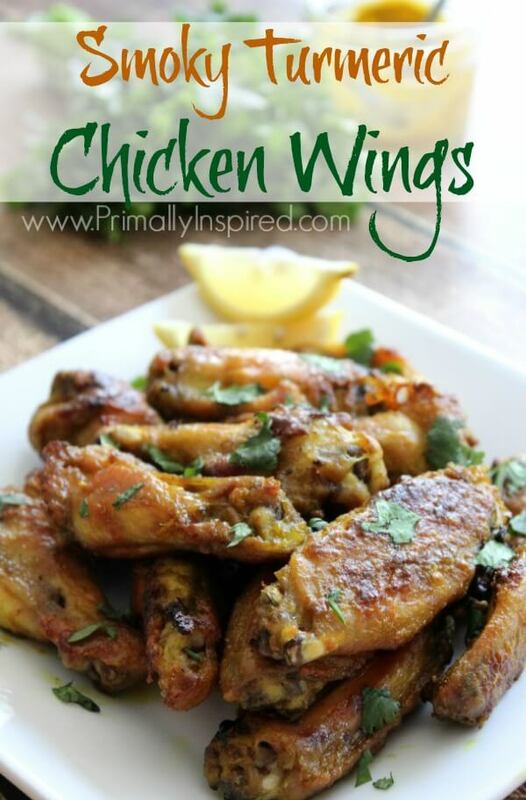 This would make a great game day recipe! 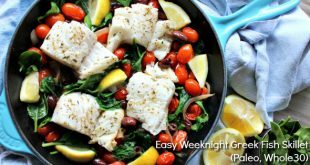 Pingback: 25 Yummy Paleo Super Bowl Recipes! | Oh Snap! Let's Eat!